If one of your stops in France is Paris, you’ll definitely need to get our 4-Day Paris Itinerary! Brittany, or Breizh as its known in the local Breton language, is a wild land with a beautifully undiscovered feel to it. The fiercely independent locals proudly wave the Breton flag throughout the region. With miles of dramatic coastline and sandy beaches, medieval towns and delicious local cuisine, Brittany is a must-see during your time in France. 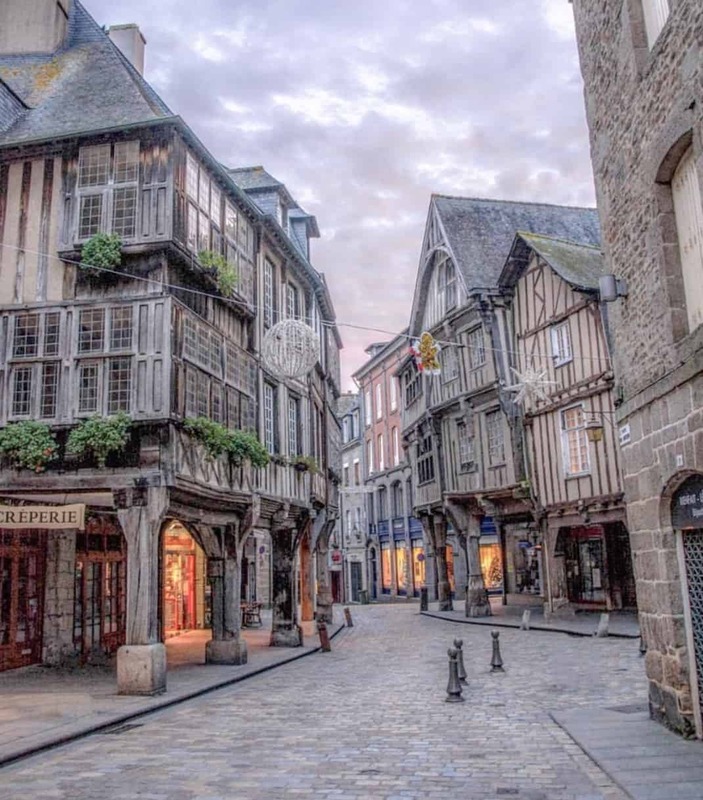 We’ve put together an itinerary that will take you from the daunting stone walls of Saint-Malo through the perfectly preserved medieval town of Dinan to end up in the region’s vibrant capital city of Rennes. Along the way you’ll visit local farmers’ markets, centuries-old cathedrals and other historical monuments. There will also be plenty of time to taste regional favorites including fresh mussels, delicious oysters, decadent Kouign Amann and traditional buckwheat galettes. All to be washed down with a glass of local cider! The Pointe du Grouin is a rocky outcrop just outside of Cancale. 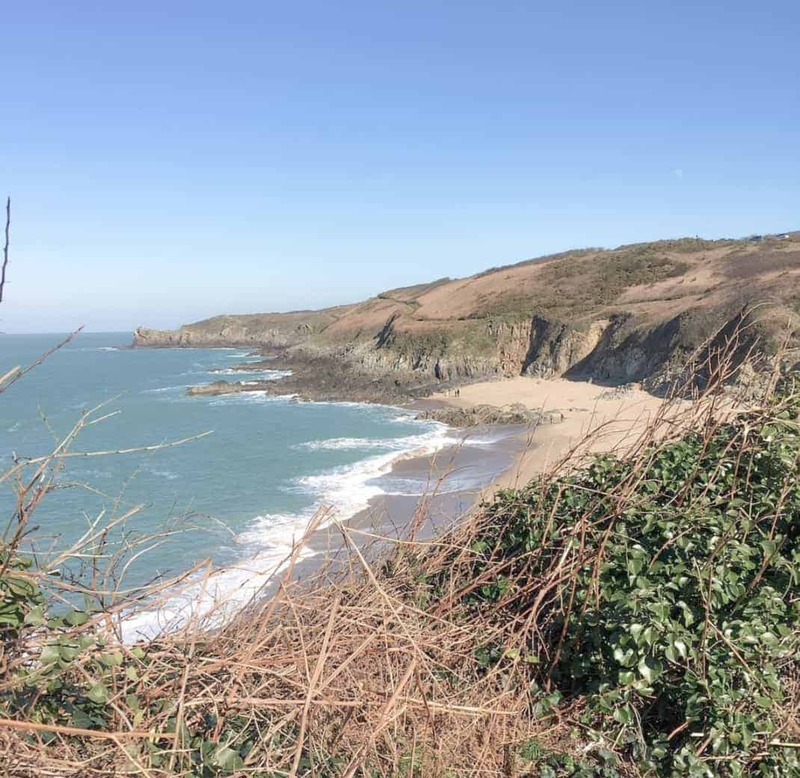 This breathtakingly beautiful spot is the perfect place to enjoy the wild Breton coastline and views of the Saint Michel Bay. Just a few kilometers from town, it’s easily accessible by car or even bike. Enjoy a picnic on a sunny day to fully soak in all of Brittany’s nature! 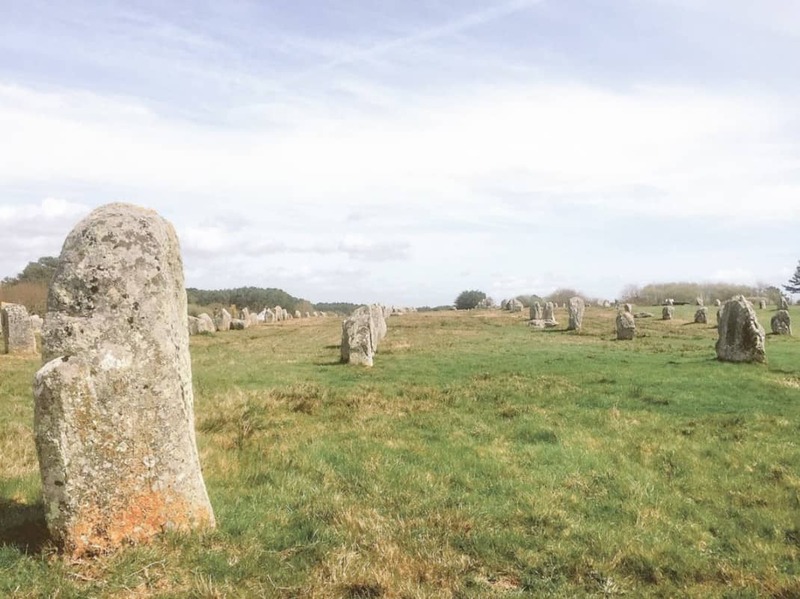 The Megaliths of Carnac date back almost 7,000 years! It’s the world’s largest gathering of standing stones with over 3,000 stones perfectly aligned over several miles. Enjoy an awe-inspiring afternoon exploring these structures that are shrouded in mystery to this day. The stones are said to be a place of worship, perhaps a gravesite or even to represent a stone army. If you only have a few days in the area, Dinan should definitely be on your list of towns to visit. This lovely medieval town is regularly voted Brittany’s most charming village! Old town truly seems to be from another era. Hike up the steep rue de Jerzual for idyllic views of the harbor. Enjoy a walk through the English gardens to end up at the famous. St. Catherine’s cathedral. 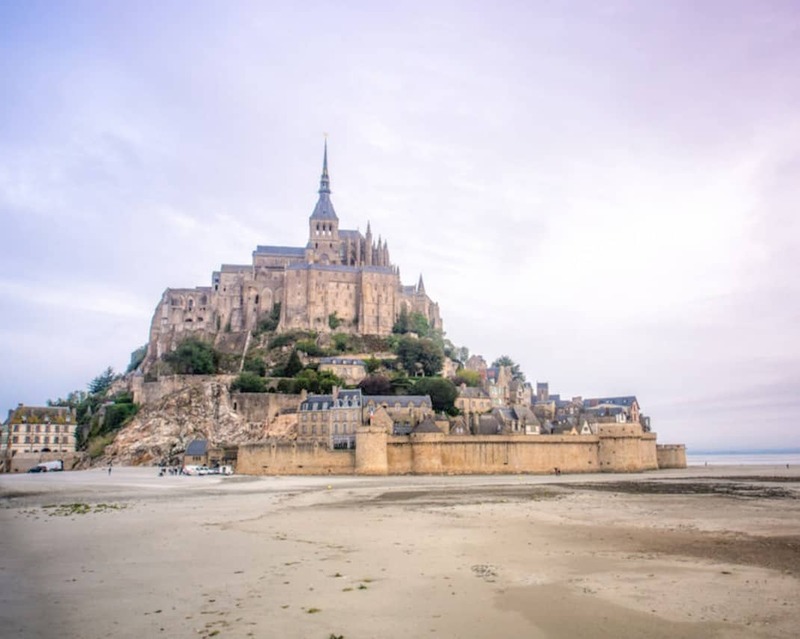 Start your trip off right with a visit to the magnificent Mont Saint Michel. The hilltop Abbey has been known as the “Marveille” (Marvel) since the 12th century and you will soon see why. You’re sure to be awed by the collection of clerical building, the gardens, the refectory and of course the Abbey that combine to make up one of France’s most stunning monuments. In the early afternoon, drive 1 hour west to the town of Cancale. The oyster capital of France, Cancale is a small, yet bustling, fishing village. Take a stroll on the harbor to enjoy views of the port as well as the Saint Michel Bay. Visit the Saint Meet Cathedral for the intricate stained glass windows. Finally, don’t forget to stop by the oyster market! After visiting Cancale, you’ll then head to the walled city of Saint-Malo. The impressive granite walls that surround the city have kept it safe for centuries. Walk around the ramparts at night for some beautiful views of the town monuments. 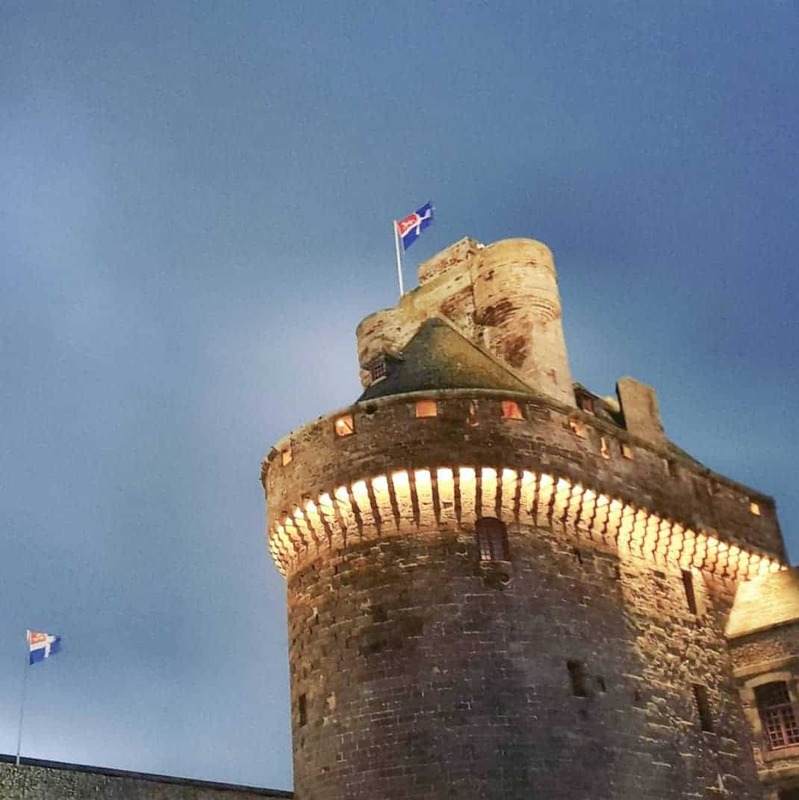 Visit Solidor Tower and the Saint Malo Cathedral for a trip back in time. Skip the long entry lines to the Abbey of Mont Saint Michel. Enjoy a self-guided tour to discover the monument’s religious history and medieval architecture. 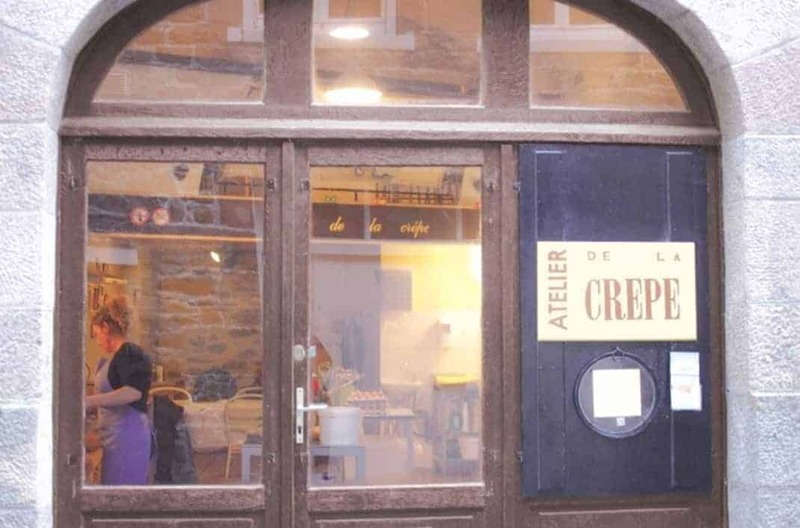 Learn how to make crêpes and famous Breton galettes like a pro! Enjoy these fast-paced, practical sessions and taste your creations at the end! 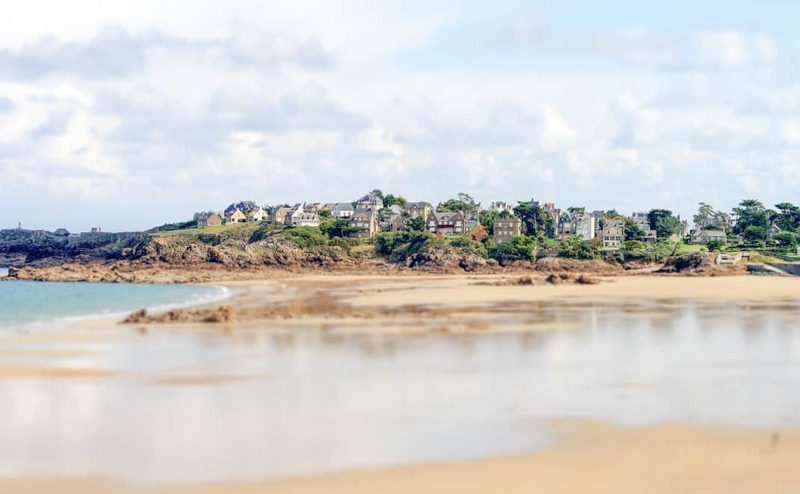 After a refreshing night in Saint-Malo, make the 20-minute drive to other side of the estuary to Dinard. 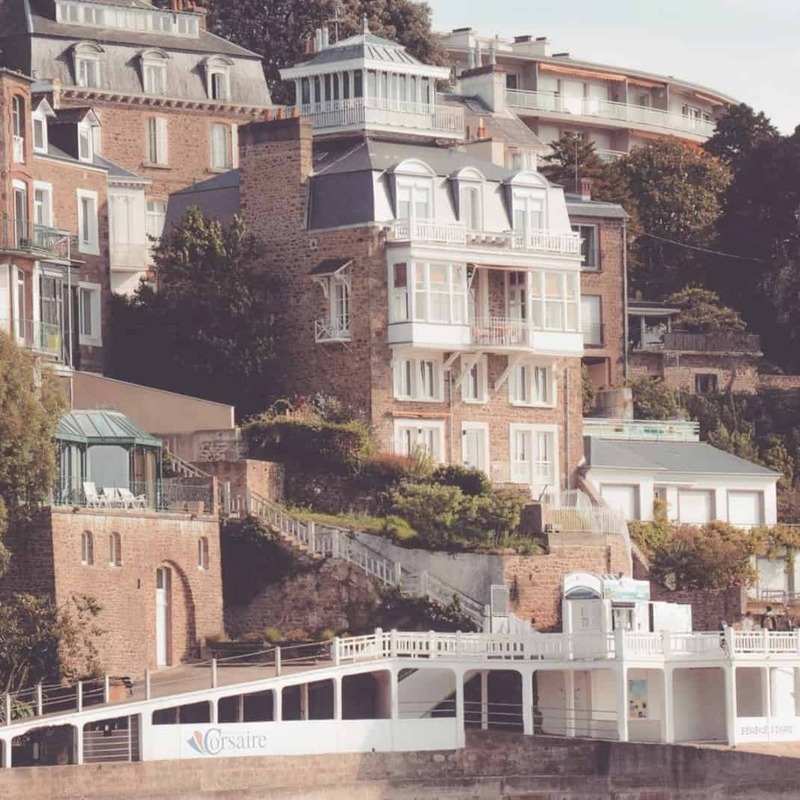 Originally a fishing village, Dinard became a hotspot for the rich in the 19th century who built many luxury villas in town. The result is a beautifully eclectic collection of buildings. Start you morning off with a walk around the port and perhaps even a boat tour along the Rance River. Continue your visit of Dinard into the town center that has numerous shops, cafes and restaurants. You’ll pass by some impressive buildings including the House of the Black Prince that dates to the 14th century. You’ll also see the imposing Manoir de la Baronnais that is from the 17th century. Dinard’s Parc Breton has a lovely rose garden and is the ideal spot for a quick afternoon break. In the early evening, hit the road for the 45-minute drive south to Dinan. You’ll be spending the evening in this perfectly preserved medieval town. The town center is filled with half-timbered houses that have been there for centuries. Walk up the steep rue de Jerzual at sunset for beautiful views of the old port. After a relaxing morning, drive to Rennes and spend your last day exploring Brittany’s lovely capital city. Head to the Marché des Lices, the local farmer’s market and the second largest market in all of France. A showcase of regional products, the market stretches from Place des Lices all the way to Place Saint-Michel. Make sure to try the famous galettes saucisse, a classic specialty of Rennes. Spend the afternoon discovering the many cultural activities the city has to offer. Start at the Musée de Bretagne (Brittany Museum) to learn all about the region’s culture. 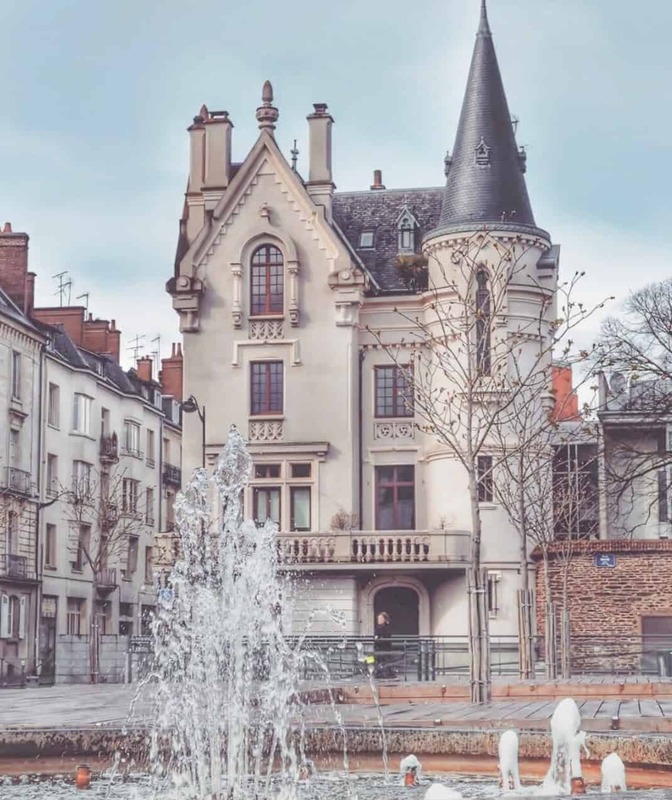 Continue on to the Rennes Fine Arts Museum, a must-see for all art lovers. Take a break in the Thabor gardens, just steps from the historical center. The 10-hectare garden is considered one of the most beautiful in the country. The old town is lovely in the early evening. The Renaissance-style houses that Rennes is famous for are particularly beautiful in the glow of sunset. Walk through the Place de la Mairie to see the impressive town hall and rotunda theater. End your evening stroll at the bottom of the impressive Rennes Cathedral that was completed in the 19th century.